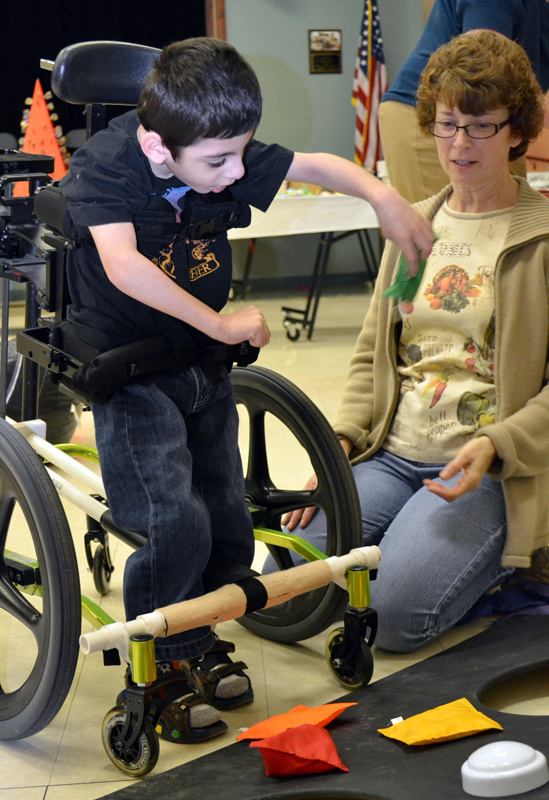 Physical therapists at The Maryland School for the Blind strive to ensure all students with disabilities participate in, and benefit from, the learning environment with the fewest possible restrictions. We address the neurophysiological, sensory-motor, and developmental functions that affect the child’s ability to acquire skills and benefit from the educational process. This is accomplished through service to students, performance of related responsibilities, and program services. Screen and assess students to determine the need for services and to recommend strategies, adaptations and/or modifications that support the educational program. Determine equipment/assistive technology needs and training. Consult with school staff, family members and other service providers. Participate in transition planning for students leaving MSB. Facility design and modification for accessibility. Emergency evacuation of students with physical disabilities. Staff and families on the management of students with physical disabilities. Bus drivers and attendants to safely handle and transport students with physical disabilities. Physical therapy interns to work with children in an educational setting.